The included Rollei Electronic #0 Shutter delivers precision exposure control with speeds ranging from 1/500 - 30 sec, plus B, and allows f/stop adjustments in as little as 1/10 increments. 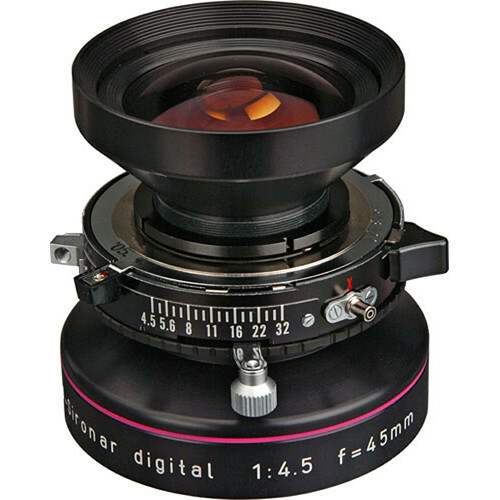 Aperture and shutter speed are controlled via a Rollei Lens Control unit (purchased separately. But Rodenstock's digital-specific lenses such as this Apo-Sironar digital provide image quality which allows the maximum capacity of a digital back to be realized. The lens utilizes every technological possibility to get as close as possible to the absolute limits of diffraction-determined resolution, even accounting for the properties and thickness of a CCD's protective glass. With the Apo-Sironar digital, you can use digital backs with a pixel pitch as small as 5µ. This lens is recommended for use at apertures of f/8-11; you should primarily use your camera's movements to control the depth of field.